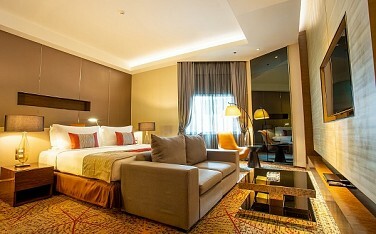 Pleasure your stay with our 62 square metre Executive Suites that designed with utmost comfort in mind. 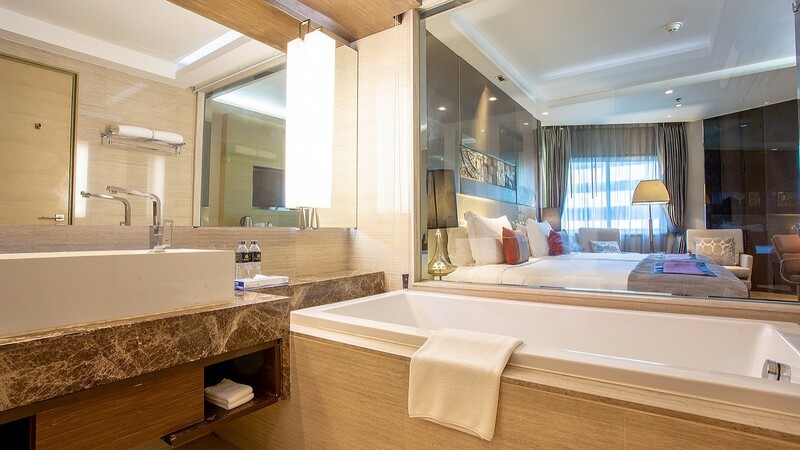 This spacious layout carefully arranged to create separate areas for bed room with two queen beds and a lving lounge area with sofas for relaxation, dining area, one toilet, and a bathroom that has both bathtub and glass-enclosed shower. 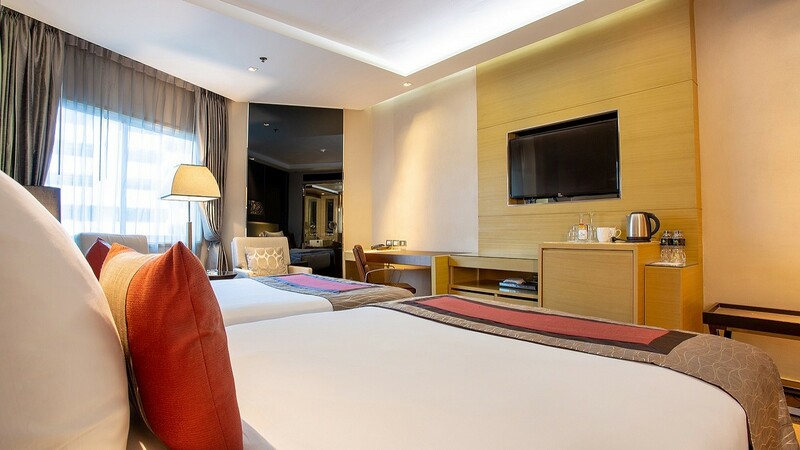 Stretch out in one of our extravagant Presidential Suites, each offering an ample living area of 93 square metre for get-togethers or relaxing. 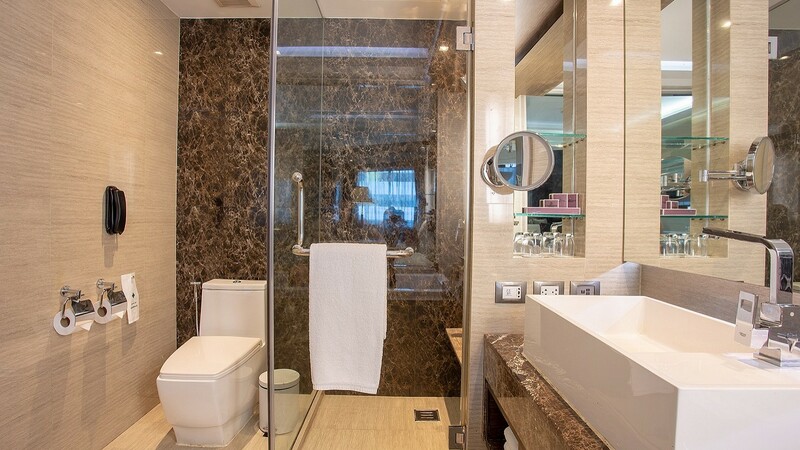 Furnished with two bedrooms of a king size bed and two full beds, each with private bathrooms, walk-in closet, jacuzzi, a toilet, and a living lounge area. 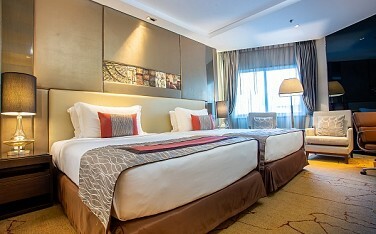 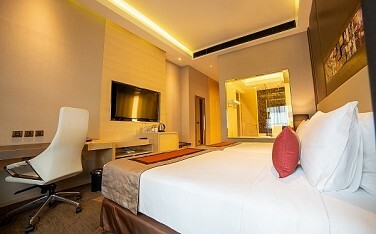 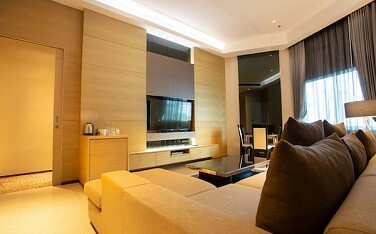 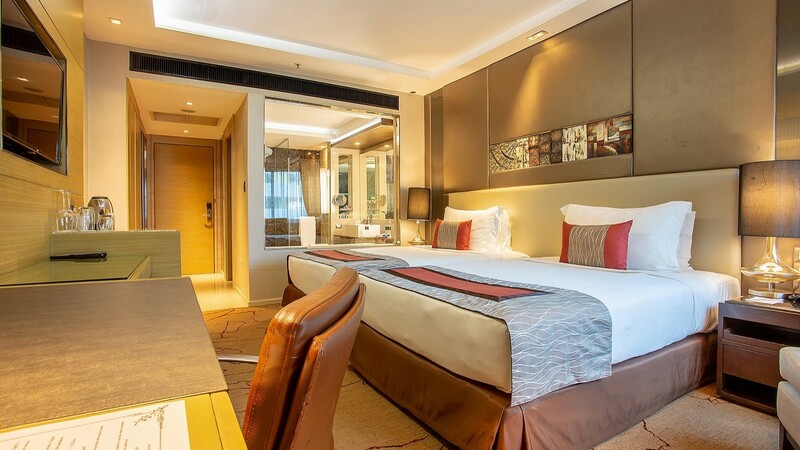 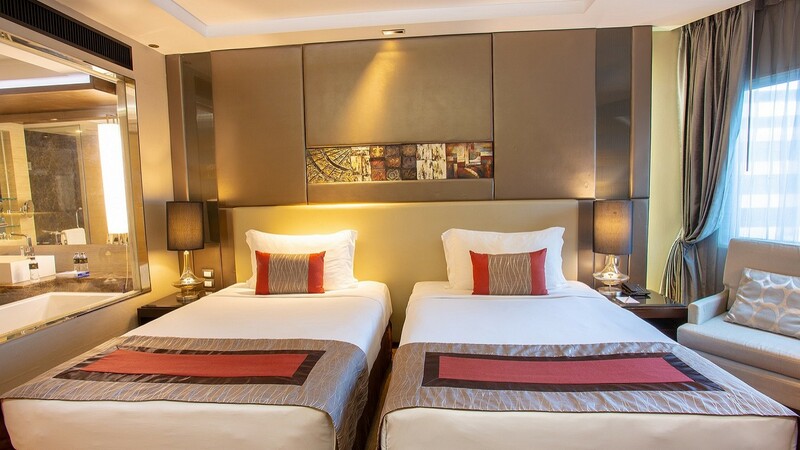 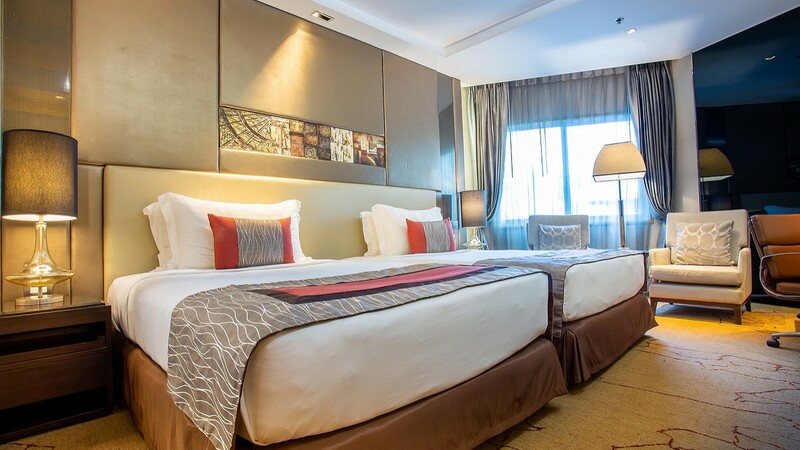 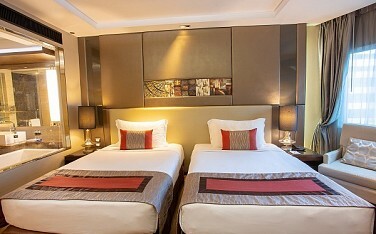 Enjoy a choice of luxurious guestrooms and suites, each beautifully decorated in modern style. 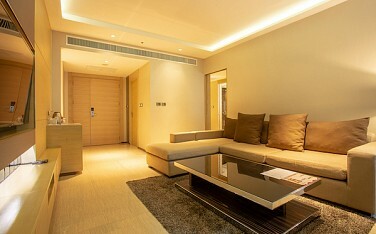 All our rooms and suites feature every amenity to enhance your stay as home away from home experience.